Charlie Crist does not deserve a chance to represent Florida in the US senate if he does not debate challenger Marco Rubio. Crist started the race above 50% in the polls and Rubio started in single digits. 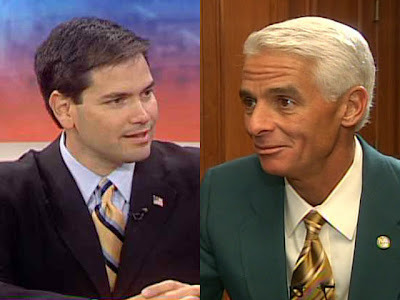 Now that the race is tied 43-43 its time for Crist to give Rubio the respect he deserves. If he doesn't, it proves he has something to hide. 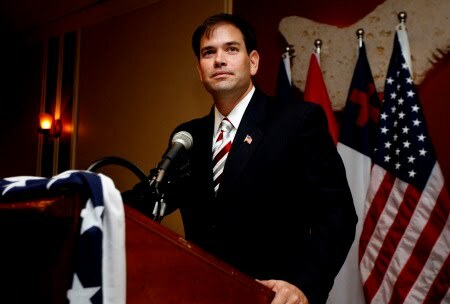 Rubio has repeatedly called for debates and Crist is running out of reasons to say no. “While our campaign’s growing momentum and progress is encouraging, I recognize we still have a lot of work and a long road ahead as an underdog running against a sitting governor. I’m encouraged that our campaign, which is built around mainstream Republican values and a positive vision for America, is beginning to receive support from so many Floridians. I also believe voters are starting to realize that there are vast differences between me and Charlie Crist on a number of important issues. “Throughout this campaign, I have asked Governor Crist to join me in a real debate of ideas. I strongly believe this campaign should be a debate about the best way forward for our party, our state and our nation on the issues Floridians care about most. Instead, Governor Crist has mostly chosen to ignore me or attack me. Lately, Governor Crist’s attacks on me have grown increasingly personal and removed from reality. Our campaign’s growing momentum helps explain why. “Now that this race seems to be tightening, Governor Crist has a decision to make. He can choose to join me on stage to showcase the differing views that exist within the Republican Party, speak honestly about our records, and allow voters to choose between two sincere yet different visions for the future. Or Governor Crist can try to turn this into every other campaign he’s ever run by going negative and dismissing an honest debate in favor of smears, sound bites and slick advertising.